Months before production begins on their sci-fi feature Volition, the Vancouver filmmakers are rolling out webisodes to help build an audience. More than six months before Vancouver-based filmmakers Tony Dean Smith and Ryan W. Smith plan to film their first scene, the filmmaker brothers are already working to build an audience for their upcoming sci-fi feature. Volition, about a clairvoyant man who foresees his own murder and tries to change his fate, will begin principal photography in Vancouver next May. The film is written by the Smith brothers, directed by Tony and produced by Ryan. U.S.-based Paly Productions will finance the film. To build some buzz before the cameras roll, the Smith brothers have launched bi-weekly webisodes introducing themselves, the film and giving viewers a look at everything from the script-writing process to location scouting. “[We thought], if we could just get eyes on us by the time we’re hopefully in film festivals, it will just help push the movie through the noise a little bit,” said Tony, in an interview with Playback Daily. 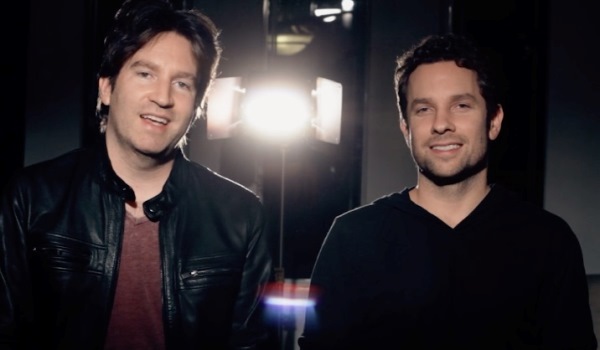 The webisodes are being promoted via social media and the film’s dedicated website, and the brothers are looking to reach out to sci-fi bloggers, fan sites and film equipment providers to connect with those niche audiences. The duo also hoping to capitalize on the social media reach of some of the film’s stars, including Canadian actor John Cassini (Hit ‘n Strum, Se7en) who has signed on for a lead role. “[Cassini's] Twitter alone has about 18,000+ [followers], which is not Kim Kardashian-big, but for us it’s exciting that he wants to push the film as well and get his fanbase involved,” said Tony. “We’re fortunate that Tony is very skilled with editing as well as directing, so Tony is putting a lot of that effort in himself, making [the webisodes] without much of a budget. I think it’s just a lot of sweat equity between the two of us,” said Ryan. The first webisode launched on Nov. 28 and received 5,300 impressions. Since the launch of the first webisode, the Smith Brothers Facebook page received 9,500 engagements and the duo gained 255 Twitter followers. They said they’re happy with the numbers and are hoping to build on them as they roll out more content. The second webisode launches Dec. 12.